For the last decade, no one has instilled more fear in the American people than the head of al Qaeda, Osama bin Laden. Arguably the single most dangerous man in the world, he has been at the top of most wanted lists throughout the globe for over a decade. Ever since September 11th, 2001, bin Laden has been public enemy number one in the minds of Americans. As the leader of the terrorist organization that was responsible for the 9/11 attacks on the Twins Towers in New York City and also the Pentagon, which resulted in the deaths of over three thousand innocent people, he became the face of evil in the minds of millions around the world. 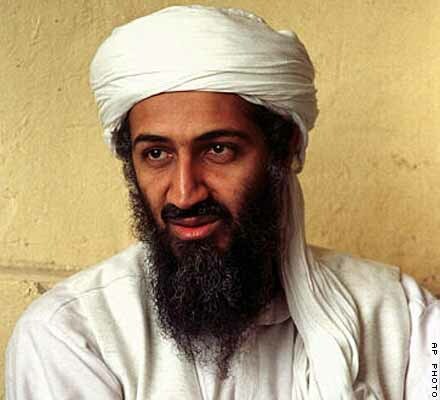 Osama bin Laden led al Qaeda for years and created the largest terrorist force in the world with operations in countless nations and training grounds in Afghanistan. The al Qaeda leader funded his forces with money he received from his family. He is speculated to have assets in the hundreds of millions. His family made billions through his father’s construction firm that went on to profit even more from oil. Osama bin Laden first appeared on the FBI’s Ten Most Wanted Fugitives list in late 1993 after he set up an attack in Somalia. Then he bombed two American embassies in East Africa. He also orchestrated an attack on the USS Cole in October of 2000. Ever since the events on the day of September 11th, 2001, bin Laden has been the man that the American people wanted to capture more than anyone else on the planet. With bin Laden dead after being killed in Pakistan, many are joyful that the powerful terrorist who has led al Qaeda for so long is finally gone. However, we would be foolish to assume that the organization is simply going to vanish. The leader might be gone, but all that it means is someone else is likely going to step up. It is great that the biggest threat to the free world since the reign of Adolf Hitler in Nazi Germany is finally defeated. But we cannot let our guard down for even one moment. Like any leader, bin Laden has a legacy. With him gone, young followers may develop a strong desire to help his legacy live on. The terrible Osama bin Laden is dead, but terrorism is still as alive as ever.